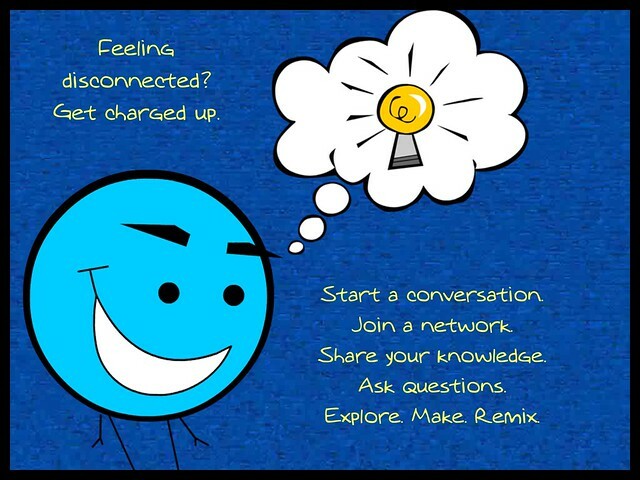 I had the pleasure of being part of an impromptu chain of poetic events yesterday, which stems in part from discussions in the Connected Courses, although all of those in this poetic chain are existing connections. I may have gotten the very start of the poetic path wrong. I wasn’t there at the gathering, so I am interpreting from the echoes of words left as breadcrumbs from others, and I suspect there may be more to this that unfolded outside my field of vision. Isn’t that always the case anyway? Aren’t we always left to our interpretations of where an idea has begun and where it may yet end up? So … I made a map, of sorts. Follow along, and take the connection further, if you will. We made room for you. Find an anchor and write. Make a connection and invite us in. One of my all-time favorite start-of-the-year activities is our Dream Scene Project, in which students work on a project of their aspirations for sometime in the future. Over the years, this project has morphed from a paper art project, to a digital storytelling project, to the current form of a webcomic project. 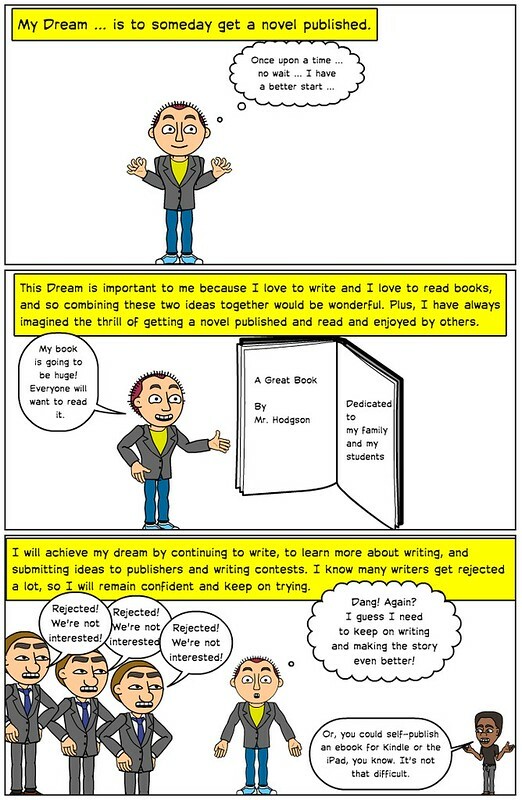 The Dream Scene project involves students thinking of a dream for themselves, why it is important and how they are going to make it happen in life. Along with the mixed media that I introduce, this project gives me some keen insights into the minds of my students early on in the year, and sparks some great conversations about interests outside of school and where their heart is at. I had interesting conversations this week with a student who wants to travel to Africa as a volunteer, and help fight poverty. Another conversation was with a musician who wants to write songs and sing for the world. Another is already writing her own novel and wants to be a writer (she already is!). There are two boys who want to form a technology company, and they already have a name and have begun some tinkering with their phones. A few would be happy to have a stable family and a roof over their heads. The word cloud above represents the various themes of their Dream Scenes from across four classes of sixth graders. These kids are going to change the world someday. After the main story ends, Yang gives an overview of the origin of the story of the The Green Turtle, one of the first superheroes created by an Asian-American artist Hank Chu, and his battles with publishers to create an Asian-American superhero. He actually failed in this fight, according to rumors that Yang chased down, and his original Green Turtle comic – published during the Golden Age of Comics — is interesting in that Chu always hides the face of his hero, so the reader can’t discern racial identity. 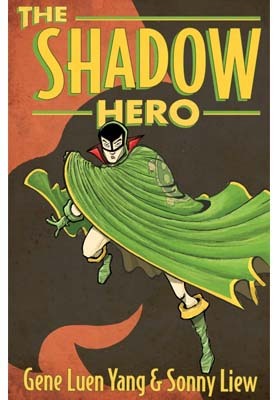 Yang and Liew decided to invent the “back story” of the Green Turtle in The Shadow Hero, providing insights into Chinese-American culture, racial prejudice, and the myth of The Green Turtle superhero, who has been mostly forgotten in comic circles. Until now. Following Yang’s piece of writing, the two provide the very first comic of The Green Turtle, as a sort of interesting time travel twist. You can get the sense of what Chu was after with his creation, and see how he pushes up against the publisher’s restraint against an Asian-American comic book superhero. It’s a fascinating lesson in history. The story in The Shadow Hero is solid, inventive and engaging, with plenty of action and humor, and a bit of tame romance. I would say this book would work fine for upper elementary, middle and high school students. Our Western Massachusetts Writing Project is focusing in on assessment this year as our inquiry theme, and our annual fall event — WMWP Best Practices — in October will have the focus of pushing against the confines of assessment and exploring more ways to shine a light on student learning, as opposed to data collection. If you teach in Western Massachusetts, please consider joining us for what will be a great day of connecting and collaborating and sharing knowledge (plus, lunch is included). Here is the link for online registration. I love gathering our “comic” versions of ourselves for the first days of the school year. 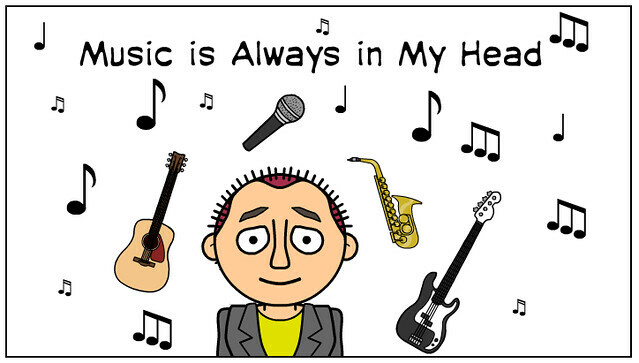 As my sixth grade students make avatars (and as we talk about digital representations) in our webcomic space (Bitstrips for Schools), it creates a classroom picture, with all of our comic avatars together. I don’t know the epic tapestry that writer/illustrator Kazu Kibuishi has in mind for his Amulet series but I am along for the ride right until the very end. 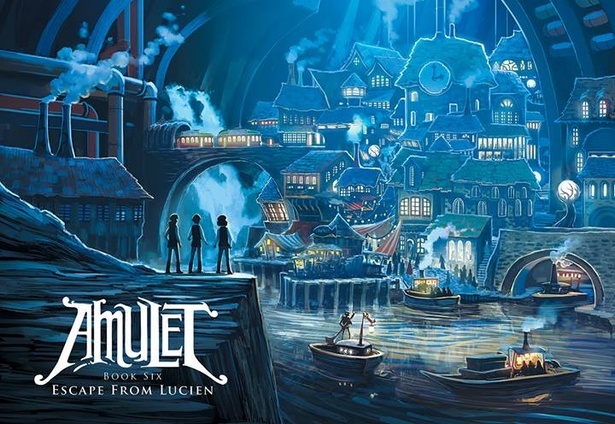 The latest in his series of intriguing graphic novels in the Amulet series — Book Six: Escape from Lucien — is another powerhouse example of storytelling, bringing us action and character development and various story threads that weave in and out. The most difficult part? Remembering the stories in the intervening years between Amulet books. I should have read the fifth one to get my mind inside the story but instead, I jumped right in. Which is interesting in itself. Kibuishi, a gifted artist and writer, does not provide backstory. You’re in right with the first few pages, and I had that experience of my memory kicking in as I read — Oh yea, that’s who Emily is …. That dude looks familiar …. why is this character acting like this? Who is the Elf King again? Who wants to be Elf King? Oh yeah … and so on. 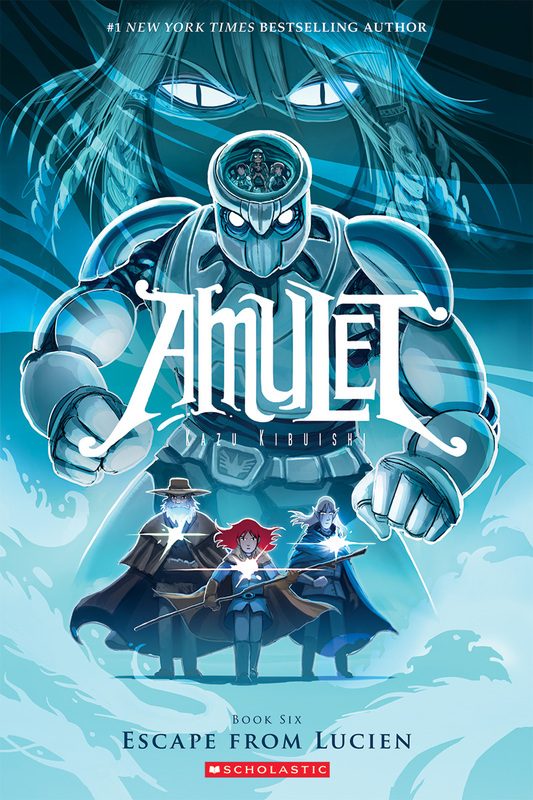 It would be too complex for me to give the story away in a review, but suffice it to say that Amulet is turning out to be a classic graphic story that makes other stories pale in comparison, and is a perfect series for middle school and upper elementary readers. The difficulty is the cost for the books. I suspect that somewhere down the line there will be an Amulet Omnibus. But the story is still unfolding. This is actually one of those series that I have not yet brought into my classroom, for fear that the books will disappear from my shelves. My sons read the Amulet books regularly so I keep them at home. Sorry, kids. (Might be time to save up my Scholastic book points and get a class set, though). The first few days of school are times when you start to learn a lot about the character of your class. Sure, kids are a bit muted as they settle into routines and try to get a sense of their teacher(s). But you can still learn a lot. This Haiku Deck is a way to reflect on our first four days together, and things we have already accomplished. I have a great class of sixth graders!